What's Your Favorite Dog Halloween Costume? Trick-or-treaters who go door-to-door with a costumed dog get twice as much candy as trick-or-treaters without a dog. That’s just science, I don’t make the rules. So with the big day just three weeks away, we want to know which dog costumes you have puppy love for. You might think this is a mastiff waste of time, but there are no bad answers here, just like there are no bad dogs, so head down to the comments to mark your territory. Bonus points if you include a photo of your own pup. 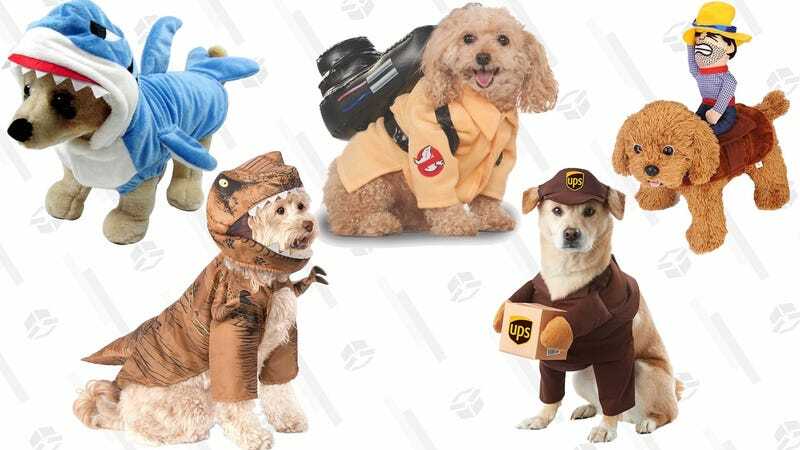 1) Your nomination should contain a single dog costume, including the brand, a product link, and a photo.